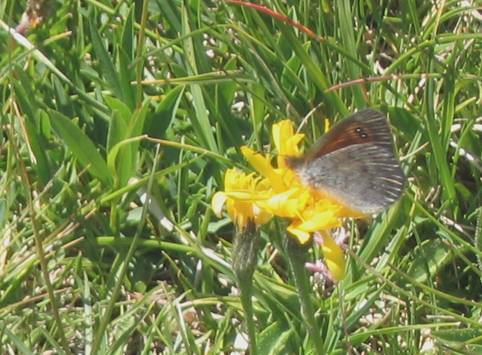 These photos were taken in Alpine meadows between about 1800m and 2200m. 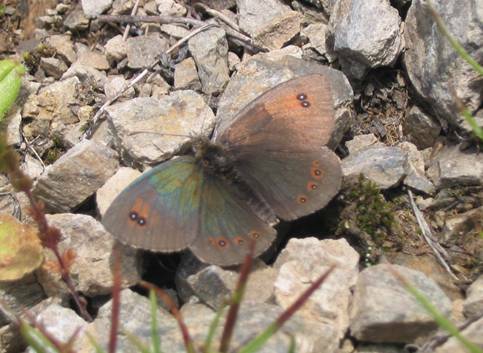 All the eyespots on this brassy ringlet are well marked on the upperside, the pair on the forewing being the largest and more or less touching. 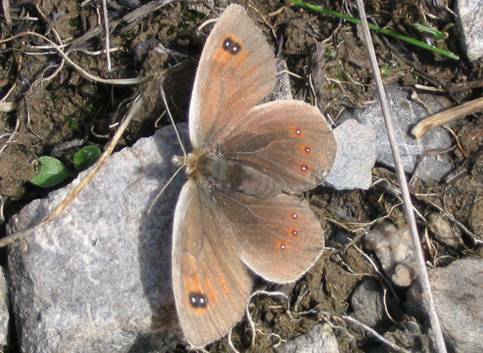 The red bands are vestigial below eyespot level on the forewing (well developed on tyndarus.) 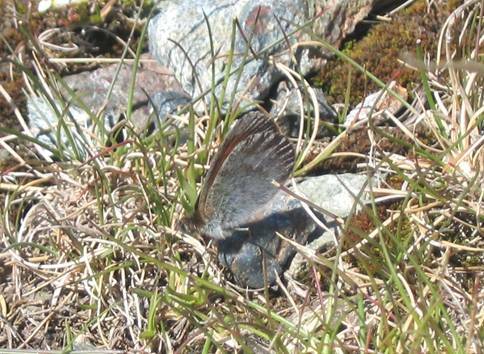 The undersides are silver-grey and difficult to separate from tyndarus. 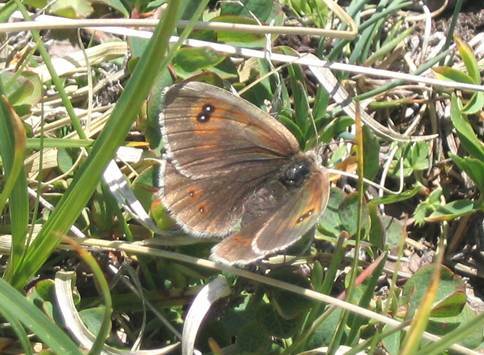 It is apparently exceptionally rare to find any two species of brassy ringlet flying at the same site. 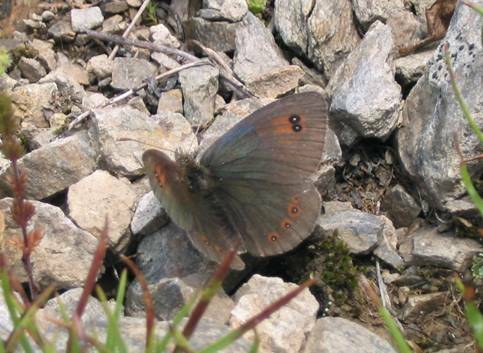 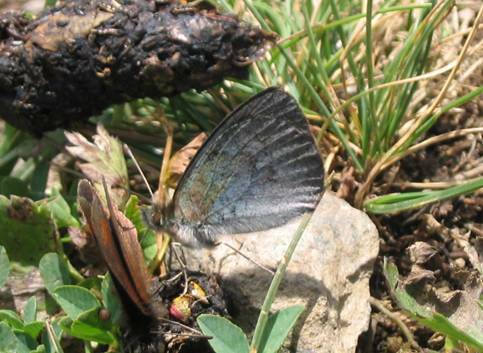 Certainly during my visit to Switzerland in 2003 I observed cassioides and tyndarus at different locations.